At APM Healthcare we work with GP Surgeries, Dentists, Pharmacies and Primary Care Centre Developers, providing refurbishments, alterations, extensions, fit-outs and integrations. 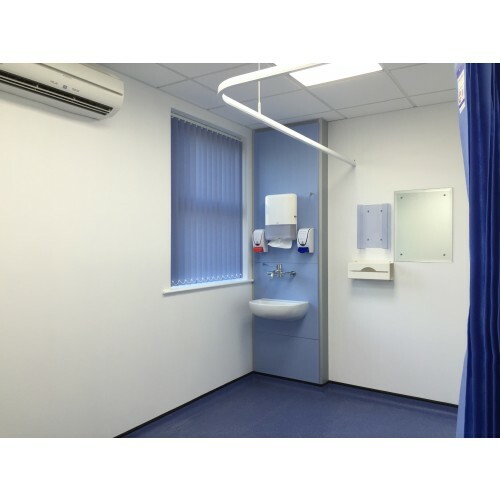 We can ensure your premises meet the requirements and current specification of the Health Technical Memorandum (HTMs), Healthcare Building Notes (HBN), Infection Control and other relevant regulatory bodies such as the CQC. 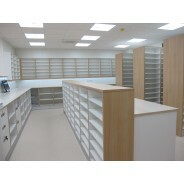 Improving the facilities in your surgery such as replacing your existing reception desk with DDA compliant and acoustic/security reception solutions. Installation of air conditioning and also improving the lighting levels by moving to LED lights which helps reduce longer term maintenance. We have extensive experience in integrating pharmacy contractors into GP surgeries and re-configuring space which ensures the patient experience is enhanced. 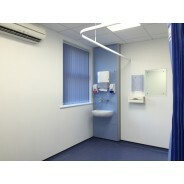 We can help you develop under-utilised space to be utilised for clinical or administration uses. We will assist in ensuring all work meets your budget and will improve the performance of your business. From designing, planning, regulatory approval, carrying out the work to handover… we pride ourselves in managing the project every step of the way. With the increasing burden of legislation around premises standards it is important to ensure that your surgery building makes the grade. At APM Healthcare we offer a one stop shop service from initial assessment through to completed works, providing you with an upgrade to your premises within an agreed budget and with minimum disruption to your ongoing, day to day surgery activities. The team at APM Healthcare has over 10 years’ experience of Primary Care Premises Refurbishments, Alterations, and Pharmacy Fit Outs for clients across the UK. We fully understand how to work with you effectively to deliver the result you need, on time and within budget. We can also advise you on the integration of other healthcare providers into your premises such as dental and pharmacy contractors to help you expand the range of services provided from your surgery. 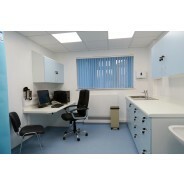 We have commissioned APM Healthcare to undertake an internal conversion of our main surgery to create two new consultation rooms as well as to undertake a major refurbishment of both our main surgery and our branch surgery in order to bring them up to the standards expected by the CQC, infection control, health and safety as well as to modernise them. 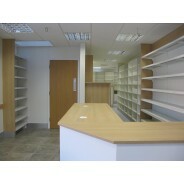 The total contract size was for over £325K. 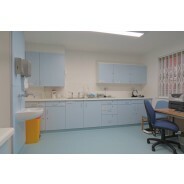 APM Healthcare have provided an excellent service for us, they were very accommodating, they did the work on time, to very high standards, the listened to our needs and made changes to the required works whenever this was needed as the work progressed, they worked at weekends and out of surgery hours to ensure that patients' services are not interrupted and kept any disruption to the surgery services to minimum. APM Healthcare have proved to be knowledgeable in the requirements of premises that provide healthcare, reliable, efficient and trustworthy, we would certainly use their services again for any future work in our premises and would highly recommend them to others. I thought that they provided an outstanding service and could not find fault. Professional, considerate, reliable, friendly, good value, knowledgeable etc. 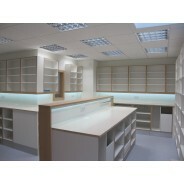 We had a £100k+ project that was done on time and on budget with none of the nonsense that you tend to get with builders. Have already recommended them to my colleagues.